Nintendo has announced that they will be increasing the supply of the upcoming SNES Classic. This comes as the consoles saw huge demand, with pre-order inventories being swept off in minutes. Nintendo hopes that this will satisfy the demand for the console, promising to ship more SNES Classic consoles at launch than the entire production of NES classic last year. This also changed Nintendo’s original plan to cease shipments at the end of the calendar year. In fact, Nintendo is confident that they have enough shipment, that Nintendo of America President, Reggie Fils-Aime advised consumers not to pay more than the market recommended price of $79.99. On top of that, Nintendo has also announced that they will be bringing back the NES Classic in Summer 2018. That should satisfy those who were unable to get their hands on the NES Classic. 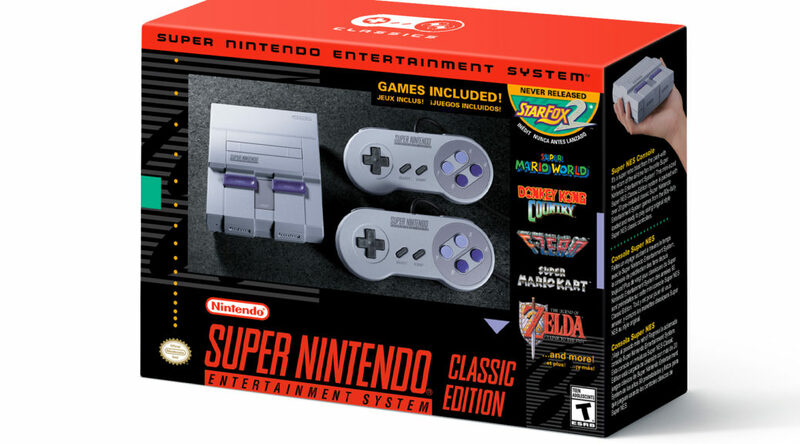 REDMOND, Wash.–(BUSINESS WIRE)– Due to incredible demand for the upcoming Super Nintendo Entertainment System: Super NES Classic Edition system, Nintendo plans to ship the retro-inspired product into 2018. Originally, shipments were announced to cease at the end of this calendar year. The Super NES Classic Edition system features 21 legendary Super NES games such as Super Mario World, The Legend of Zelda: A Link to the Past and Super Metroid. Launching on Sept. 29 at a suggested retail price of only $79.99, Super NES Classic Edition plugs directly into the TV using the provided HDMI cable, and comes with two wired controllers. For more information about Super NES Classic Edition, visit http://www.nintendo.com/super-nes-classic. Super NES Classic Edition will launch in North America on 29 September.